In terms of behind-the-scenes talent, composer John Williams remains one of the few constants in each and every Skywalker saga Star Wars film. From A New Hope to The Force Awakens, Williams has left viewers humming his themes long after they’ve left the theater for nearly four decades, and he’s not looking to stop yet. 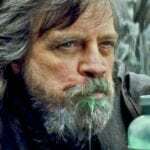 It’s no secret that Williams is returning to score this year’s Star Wars: The Last Jedi, as previous updates confirmed that he was well into the writing process, but according to a tweet from producer Robert Meyer Burnett, he’s already begun conducting. There was a LAST JEDI scoring session in LA today. That's encouraging. While Johnson has been in post-production on The Last Jedi for a number of months, it’s good to know that he’ll soon be able to edit with the film’s official score (or a version of it), instead of using a temp score, or an existing piece of music that is replaced before the final cut and used to assist with editing. Additionally, if Williams’ previous comments are still true, he’ll be hard at work on the score for at least another month, perhaps even two. For fans of the legendary composer, we here at Flickering Myth celebrated his 85th birthday by choosing some of our favorite scores of his, so be sure to check out the piece! John Williams is my favourite composer. Looking forward to hearing what he does!